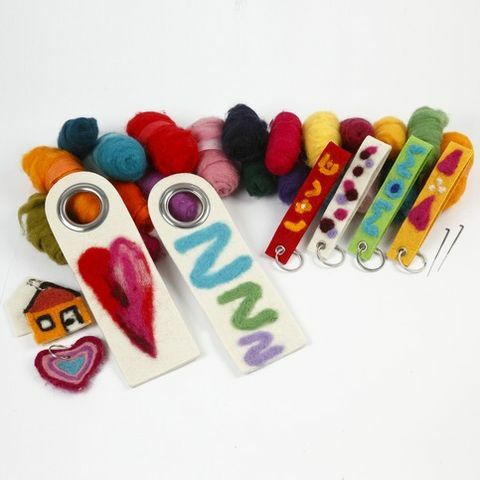 Woollen objects are felted with carded wool and a felting needle. 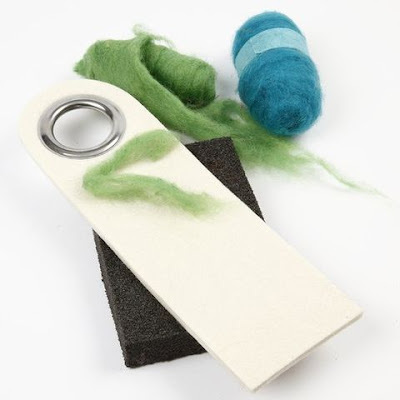 The A6 needle felting foam pad is ideal for these objects. The more you felt – the firmer the decoration. 1. Place the woollen object on the needle felting mat and arrange the wool on top. 2. 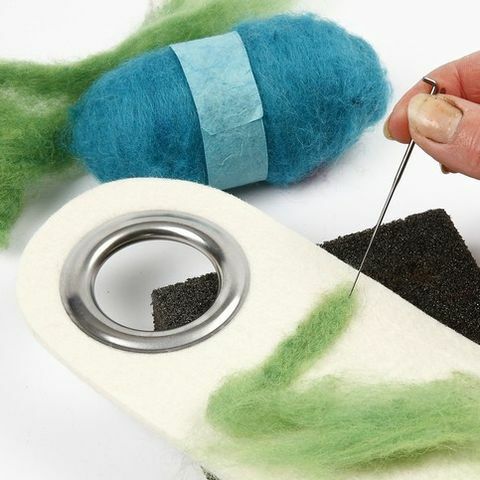 Push the felting needle up and down until the wool is securely fastened to the object. The more you felt – the firmer the wool.